VacTechniche Kodial viewports are offered with a four-layer broadband anti-reflective (BBAR) coating on both sides of the window optimised to a customer specified wavelength range. In many cases, the coating reduces reflection to below 0.5% per face or 1% total at the key wavelengths specified. Please advise the important wavelengths or wavelength range with your enquiry or order. 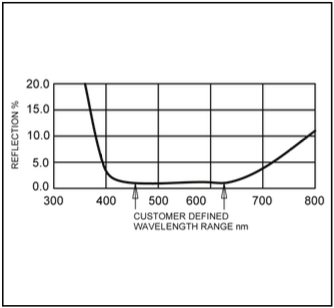 Wavelength ranges between 240 nm and 1550 nm can be accepted as standard, although coatings for other wavelength ranges can be quoted on request. Viewports with ‘V’ coatings for a single wavelength for laser applications are also offered. 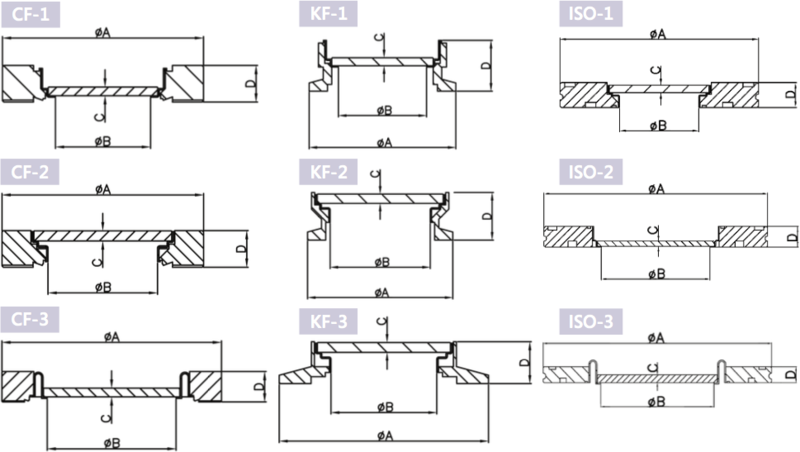 VacTechniche Kodial viewports are offered in CF, ISO and KF flange styles. Please note that the optical re ectance curves are approximations and should be used for reference only. The viewports comprise a borosilicate glass optic which is sealed to a Kovar weld ring using an induction heater process. The optic assemblies are TIG welded in to flanges and are helium leak tested and cleaned for ultra high vacuum (UHV) conditions. 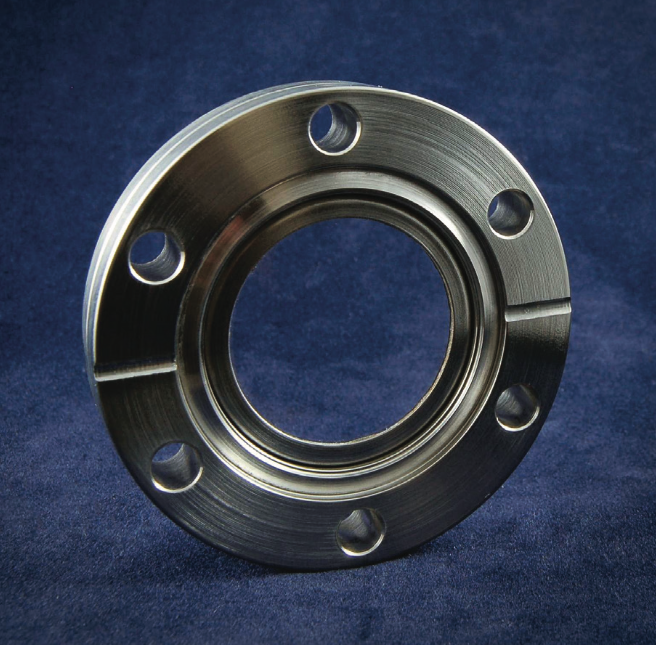 The CF versions are offered using 304L or 316LN stainless steel flanges. Flanges in 316L stainless steel are used for the high vacuum KF and ISO viewports. The rugged construction of the Kodial viewports allows repeated bake-out with UHV performance, whilst the window offers broadband optical transmission from the visible to near infra-red. Anti-reflective coatings to match customer reflectance requirements are also processed at VacTechniche. Please advise the wavelength or wavelength ranges of your application and a reflectance curve will be prepared. 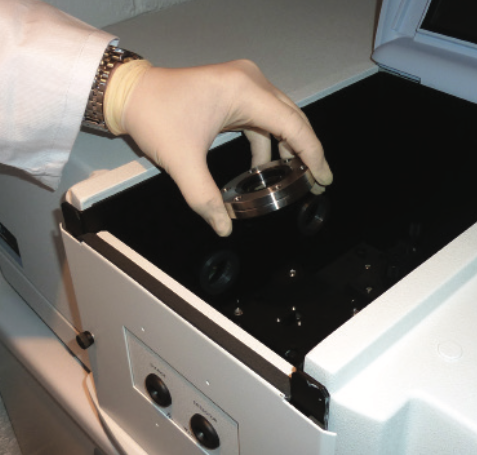 Non-standard viewports can be manufactured on request, including re-entrant style microscope/camera viewports. Annealed copper gaskets and other component accessories are also supplied by VacTechniche. *Note that the position of the optic in the VPZ38LA design results in the coating being effective over the central >30mm only.